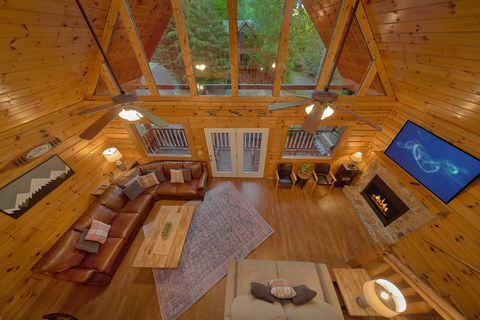 Experience a true "A Mountain Lodge" in the Smoky Mountains of Tennessee! 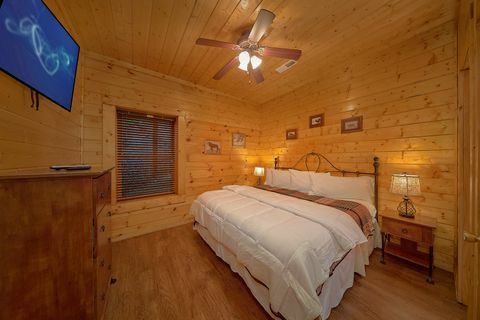 This 5 bedroom cabin boasts great amenities to make your stay unforgettable: resort pool access, pool table, fireplace, hot tub, barbecue grill on a covered deck, wireless Internet access, and more! Your group cabin rental is located in Mountain Park Resort less than a mile off the Parkway in Pigeon Forge, TN. 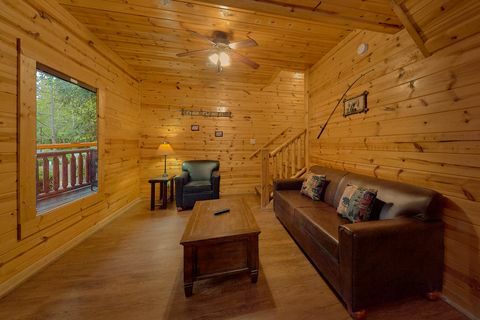 Dollywood, The Comedy Barn, outlet shopping, gourmet restaurants, and the Dixie Stampede dinner show are all within reach! 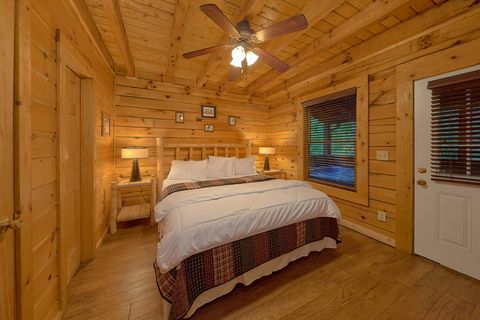 When you book a convenient cabin in the Smokies, you can expect an even better stay with your family, friends, or group! 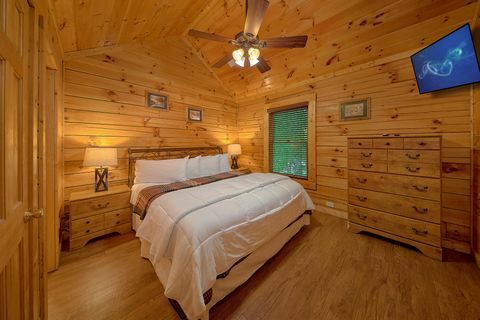 Standing apart from other Smoky Mountains cabin rentals, every bedroom in this cabin rental contains a king-sized bed, giving every guest the chance to enjoy the luxury of an expansive, comfortable bed. 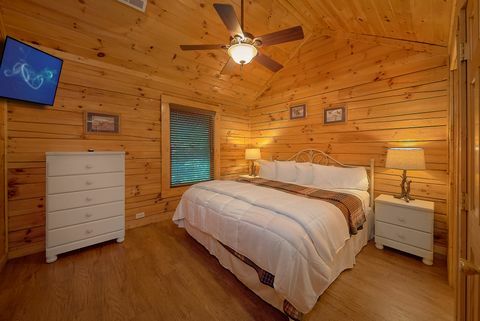 In addition to king-size beds, each bedroom features private access to a full bath. 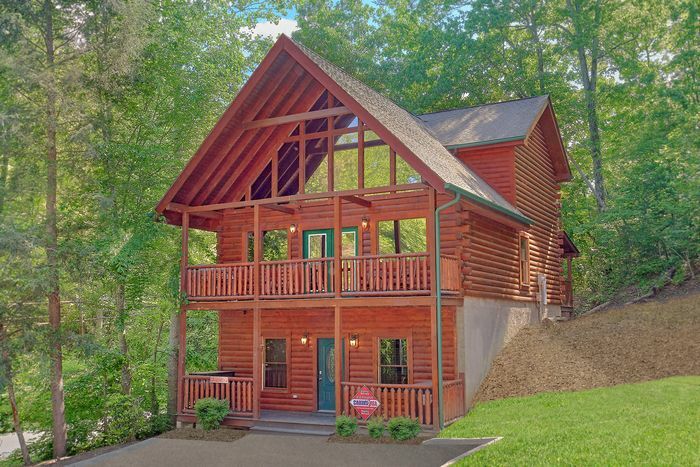 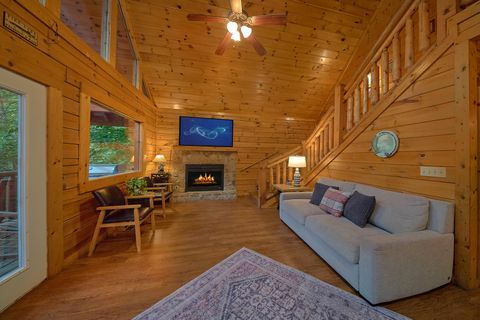 Whether you're visiting the Smokies for a family reunion, church group getaway, or business retreat, this vacation rental, which sleeps 14, and the other available cabin rentals in Mountain Park Resort can be rented out to accommodate even larger parties. 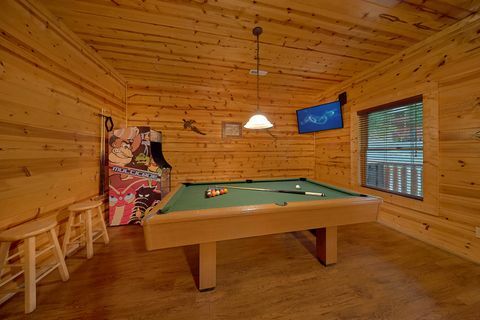 There's plenty of fun to be had at your cabin as well! 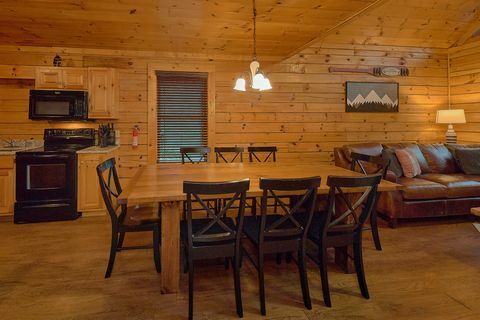 Your family or group is bound to love having resort pool access on their cabin vacation! 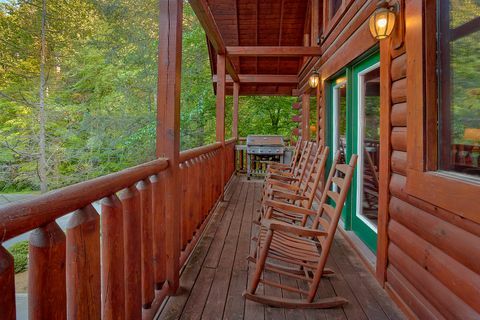 On warm summer days in the Smoky Mountains, spend some time catching some rays and splashing in the seasonal outdoor swimming area. 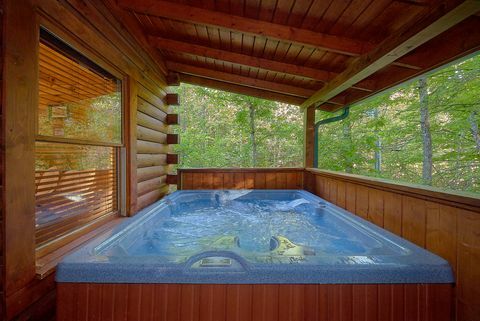 In the winter months, you can still enjoy the soothing waters of your cabin's outdoor hot tub on a covered deck. 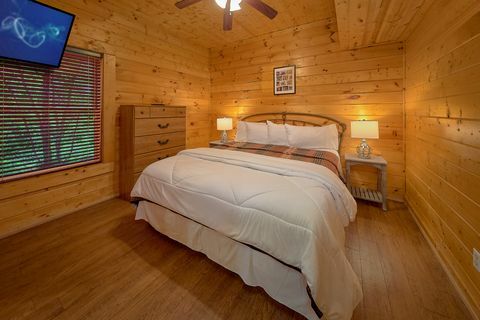 Rest your weary bones and take in your beautiful Smoky Mountain scenery in a lovely resort setting. 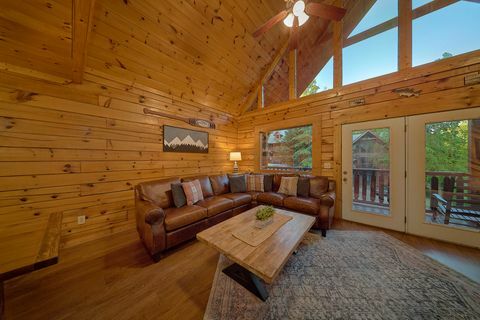 When you book "A Mountain Lodge" online with Cabins USA Gatlinburg, not only are you reserving a terrific group cabin, but you'll also earn our cabin discount! 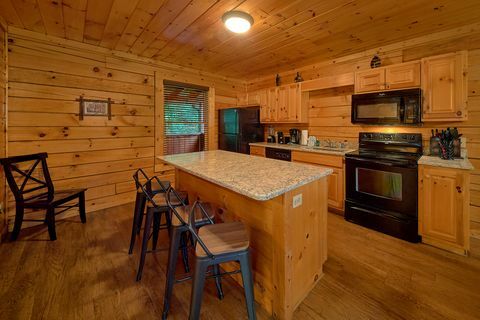 Check this cabin's availability by booking now to see how much you'll save on your vacation in the Tennessee Smoky Mountains!